Rose at 05.00 this morning to view thre valley sunrise: surely one of the most evocative on earth? 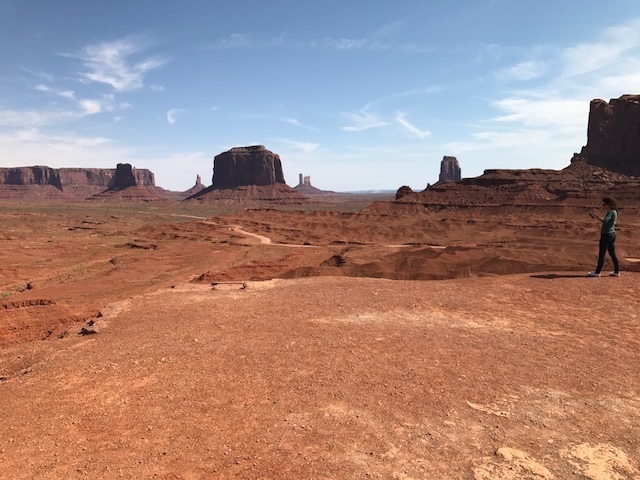 The main loop Road through is open to anyone paying an entrance fee: though most people go on on one of the tours organised by the Navajo Reservation. The valley forms part of the land held by the Navajo Native American people. The loop is a rough unpaved s surface. A leaflet lists the main viewpoint. 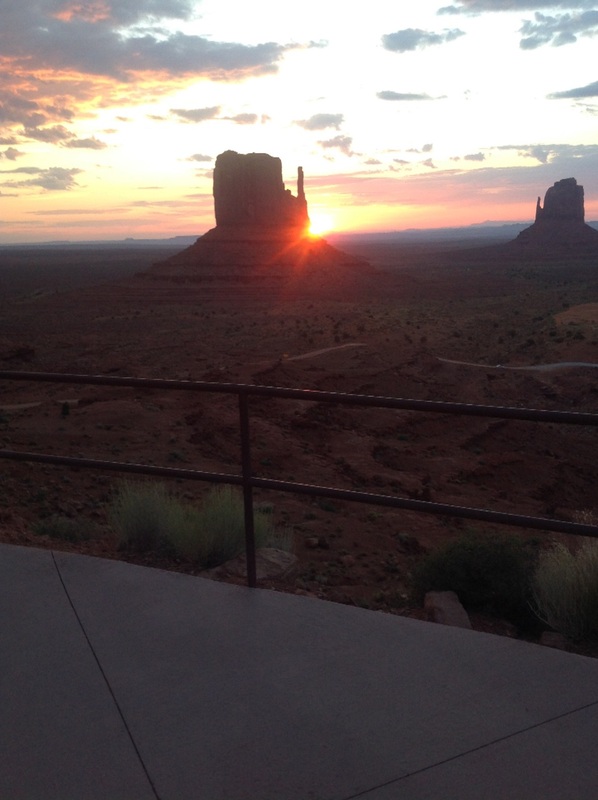 Most famous are John Ford point; the place where he directed John Wayne inn Stagecoach and The Searchers. The rock surfaces were shaped by erosion but many have instantlyr recognisable features. 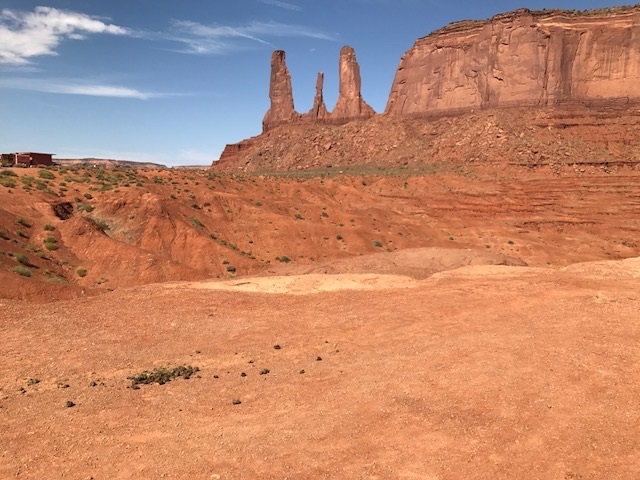 Generic types are the buttes (smaller stand alone rocks), mesas (large rocks looking like tables) and mittens (rocks with individual pillar like features).